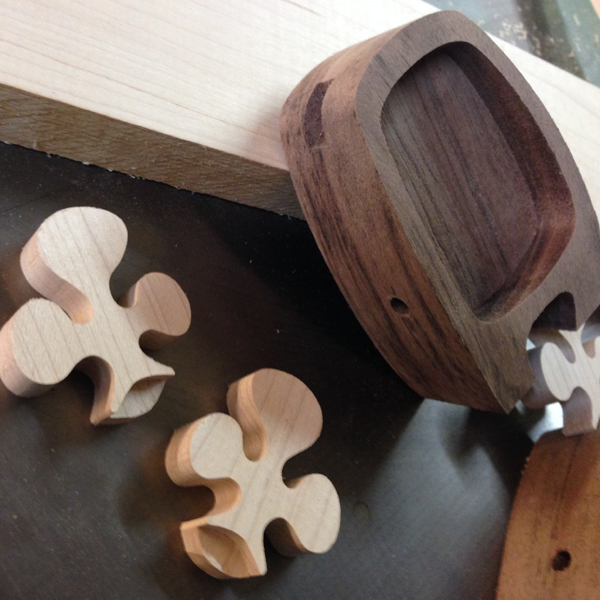 Chesters body is actually comprised of 2 matching pieces of Walnut that are laminated together with the front face routed out. The top of the body is slotted on each side to allow the antlers to slide in and attach sort of like a mortise and tenon on furniture. I've designed the antlers with a lip on the front that fits along top of the body, this allows for more stability as that space can be glued there as well, they are made from hard maple giving a little extra strength. 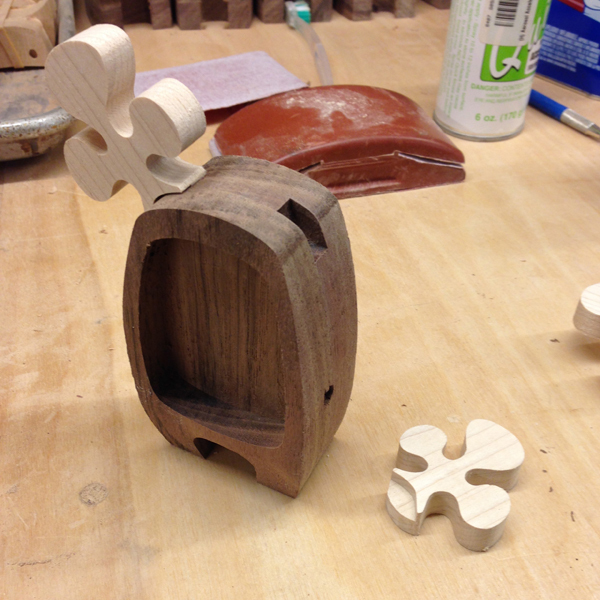 Each antler needs to be custom fit for each slot. The curve of the body is cut on the band saw using the jig in the last photo so that they all come out roughly the same. Stay tuned for more next week!